We visited one of the hidden restaurants in Balaruc les Bains today. With hidden I mean that yuo do not find it by accident. 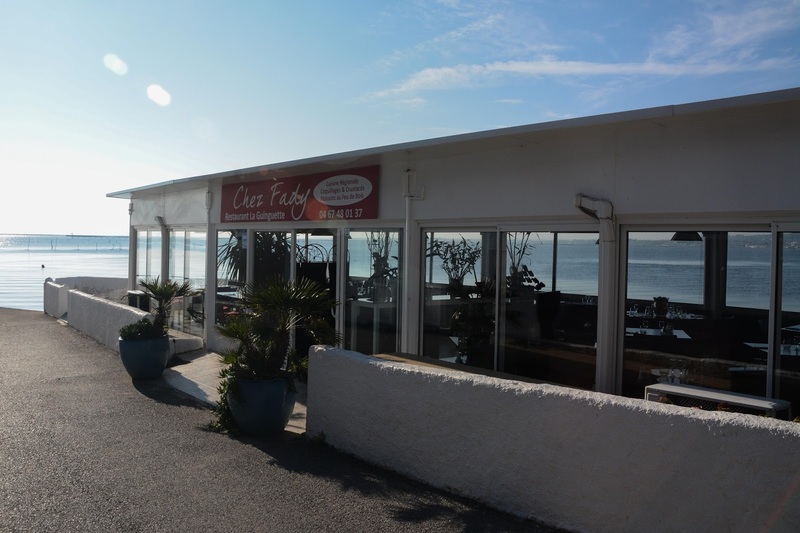 It is situated along the long walk by Etang de Thau with a fantastic view, but is not seen from any road nearby. They are – at it should be – specialized on sea-food and they know how to cook that. I can tell you that. We were there with two friend. One of the ladies is in convalescence after an accident and she is in a wheel-chair. The restaurant is near where she is treated. 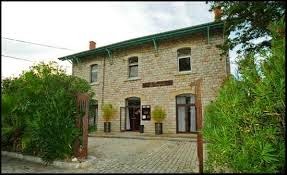 As Balaruc is in the Sete area the specials of the place are “Setoise”, which means sea-food made with garlic, saffron and other local specialities. Me and our friend had the special fish-soup with croutons with garlic, grated cheese and “rouille”, which is aïoli with saffron. The name means rust because of the colour. It is not always you get this soup made from scratch, but this was. Fantastic! 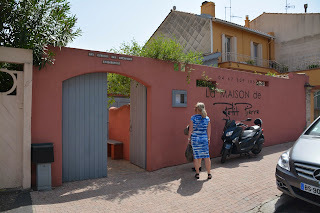 My wife had another speciality from Sete – “moule farcie” – and it was also really good. Our other friend had skewers with squid and a big plate with assorted shellfish. They actually had very good meat too. The service is very pleasant and welcoming and the view is fantastic. The sun was shining – it was roasting hot in November and the sea-gulls were busy looking for food circling over the enormous oyster-beds outside the window. We have been to this restaurant a few times before, but now I think it is time to include it in the list. We were there a Sunday in November – the sun was shining – it was 25 degrees and the place was almost full both inside and on the terrace. My wife had mussels and she said it was the best she had in a long time. They had different varieties of this traditional dish. I had “steak hache”, which is a burger without bread made from fresh meat in the restaurant. They had both a beef and a horse variety. It was excellent. The restaurant has a large varieties of tapas, which looked really good. A good sign was that the local police parked the patrol-car outside and entered the restaurant for lunch. Policemen all over the world often have the choice of lunch places as a core skill. 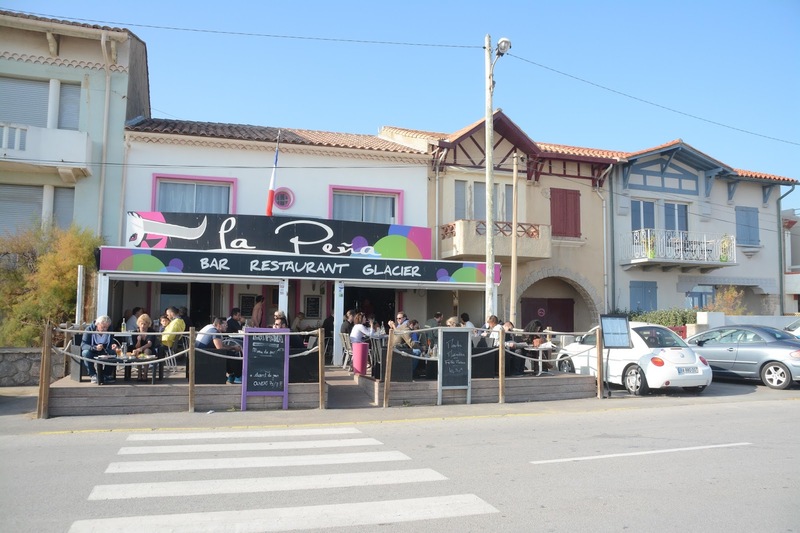 In the harbor of Mèze there are quite a few restaurants. We have been to several on the east side of the harbor and they have been quite good for lunch. This time we parked in the main parking lot and came to the west side of the harbor basin. 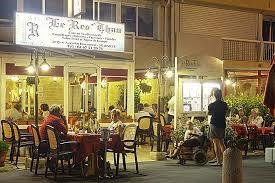 The first restaurant is Le Res’thau and we decided to try it. The food was excellent to a reasonable prize and the kids got a nice omelet with ham to the older and mussels to the youngest. I had a very good fish and my wife a nice salad. The service was very “matter-of-fact” which could be taken for boredom at first, but it was a sign of a nice dry humoristic way of addressing the customers. So – take the extra steps from the more common east side and go all the way to the last restaurant on the west side. It is as far as 200 meters, but it is worth it. 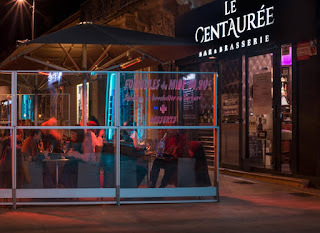 On both sides of Canal de la Robine in the center of Narbonne there are lots of restaurants. Most of them are all right and some are a little more than that. Many are reviewed here but some are too new to have been visited. 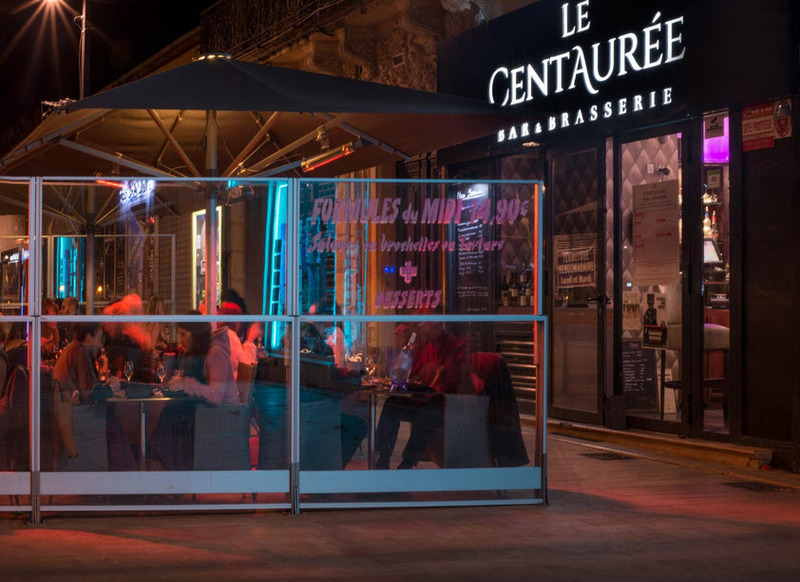 Bar & Brasserie Le Centaurée is a new experience for us. We were attracted by the many choices of interesting dishes they offered on the today’s menu to a very reasonable price. I think we made a bad choice when we ordered the “bavette” with chips because some of the other dishes we saw on other tables looked fantastic – especially the salads. Our “bavette” was very generous but it was not very tender and it had been left too long before it was served so it was not really warm inside. The chips were of that English type - “soggy chips” - and I prefer my chips to be crispy on the outside – they were home-made though. The service was very good and my wife who cannot eat sugar had no problem to get a cheese platter instead of desert for the same price. I had a nice “cafe gourmande”, which they should have charged extra for. When we payed the bill we saw that they had reduce the prize – probably because of my comments on the meat. We will certainly go there again to try the other courses. Revisited August 2016: I did not read my own review so this time I again had the bavette and I ordered it rare. Now it was tender, large but a little too red even for me. Nothing wrong though. My wife's skewer on chicken was lovely and one of the boys burgers as well. They had improved on the chips this time so they were more French than English - nice. The service is nice and quick. Revisited June 2017: Always good food at a reasonable price. Pierre Augé won the French Top Chef last year. He also won the challenge against the former champion and the challenge against this year’s Top Chef. We have tried to get a table there for quite a while and this time we were lucky. Pierre runs his restaurant together with his wife and they do a really good job. The food is creative and delicious. We let Pierre choose what we should eat and were not disappointed. Our Swedish friends that we took there were surprised that we could get such fantastic food for so little. The restaurant is casual and the guests quite young. The service is friendly and efficient. After the meal Pierre come to every table and ask if we are satisfied. Quite a few wants to have a picture with the chef and some even ask for an autograph. A Top Chef in France can be compared to a star in football or other sport in the rest of the world. If you want to visit the restaurant you have better reserve a table at least 6 weeks in advance. 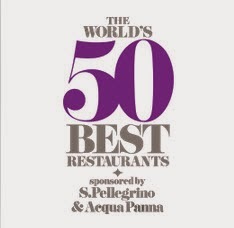 You would think we have few restaurants to visit that are worth writing about, given the number I already have reviewed. It seems however that the number of good places to eat is endless in our neighborhood. 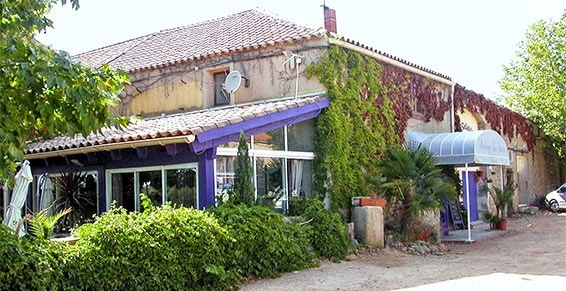 La Salette is a restaurant in Minervois, not far from Cabezac where you can visit the local vinery and the well-known olive oil producer and shop – L’Oulibo. The food is nice at a reasonable prize. We had a very nice lamb steak for main and their Café gourmand was something special. For those who are not familiar with the concept it is a small sample of all the deserts on the menu accompanied by a cup of coffee. The venue is nice with plenty of space inside. The outside terrace is however very noisy and smelly due to the road with very heavy traffic that goes just beside it. The owners are a Belgian couple, but they speak English, which makes it popular among English expats. Maybe that’s why they have fish and chips on the menu and Belgian chips. The restaurant has a wine-cellar next door there you can buy local wine. The restaurant is housed in an old railway station. We visited it together with two American friend and had their Menu de la Gare, which is the most elaborated at 39 euros. We started with scallops on a mousse of artichokes and lime. The scallops were delicious, but for those who does not eat almost raw food it might be a bad choice. The lamb shoulder with roasted vegetables we had for main course was fantastic. Cooked for 12 hours at low temperature. The following cheese platter was all right and the deserts we had was really good. The service was nice and the style casuals. The venue is quite simple in the restaurant bur there is a nice outside garden in the summer, a bar and also a venue for larger parties. 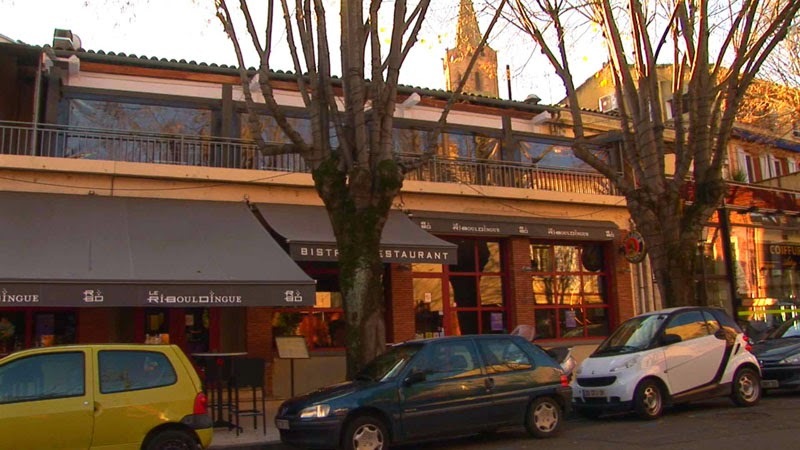 A few time when we have had planes to catch at odd times in Toulouse we have visited this restaurant in central Blagnac. 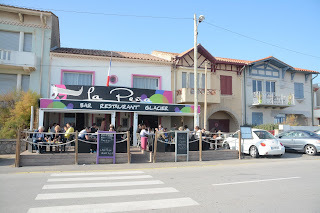 It is a bistrot style place which is quite crowded in the evenings but they have a very good kitchen. We have always been very happy with the food and especially the meat is of very good quality. This is a very good alternative to the places around the airport and only a few minutes away by car. This is a new experience in Les Halle in Narbonne. It is a quite simple place as it should be in Les Halles, but nicely decorated. The place has quite an extinctive menu with smaller dishes and the ones we tried were delicious. One tapas was a skewer with scallops and pieces of duck-brest, which was very good. 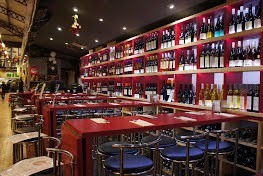 The place has an enormous selection of local wine that can be bought by the glass and also bought for take-away. The whole wine selection is on the web. The owner is really totally dedicated to wine and food and when he found out that we had been in the wine business he spent a good part of our meal chatting with us. Revisited in February 2015: Very nice again. I had a burger on KOBE-beef!!! Like butter!